The Chamber Music Society of Minnesota proudly presents the Aizuri Quartet in an afterparty concert celebrating their 2019 GRAMMY nominated album Blueprinting. 2019 NLCMI Applications are Open! 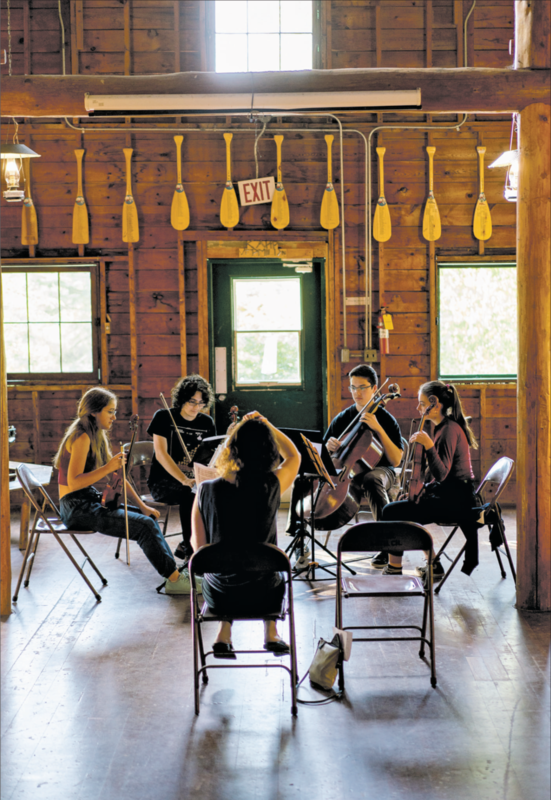 The Northern Lights Chamber Music Institute offers an unique artistic experience of intense chamber music study set in the pristine and breathtaking Boundary Waters. Between coached rehearsals and master classes, you will have many opportunities for one-on-one conversations. A camp fire and sauna at night, the Northern Lights in the sky, and the sound of loons on the lake will lull you to sleep each night after a day packed with musical adventures and outdoor fun. "A jewel in the state's cultural crown"
The Chamber Music Society of Minnesota’s mission is “Excellence, Education and Outreach.” The Society strives to contribute to the cultural richness of our community and the world through the beauty and vitality of intimate chamber music. our very own Ariana Kim on PBS Almanac.